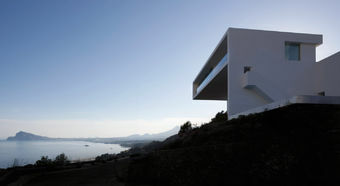 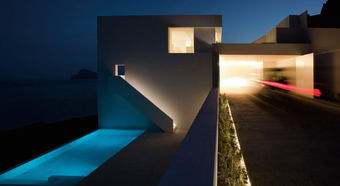 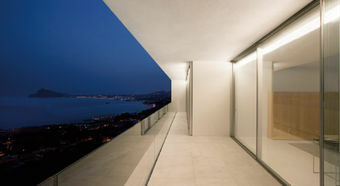 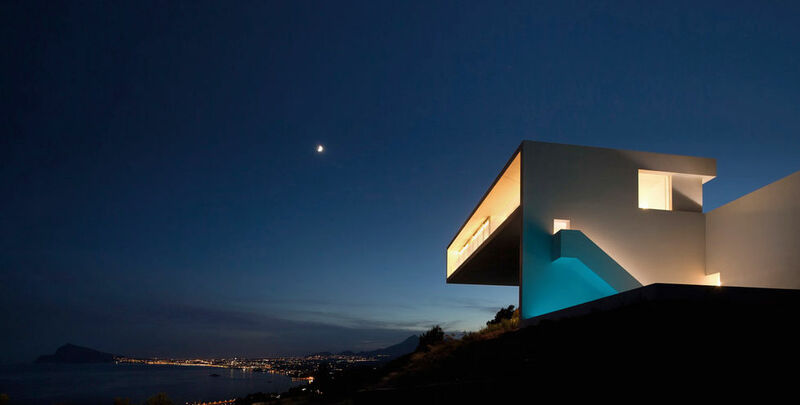 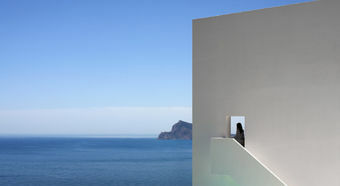 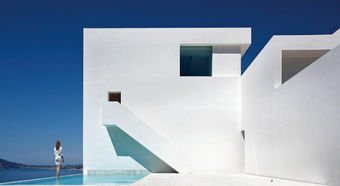 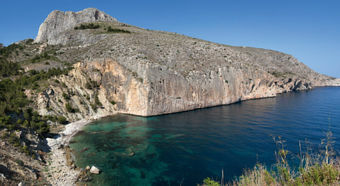 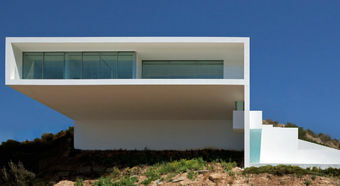 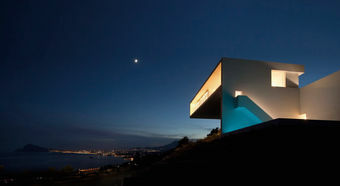 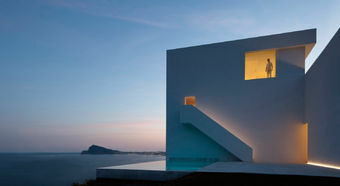 Like a monument, the House on the Cliff towers high over the Mediterranean Sea. 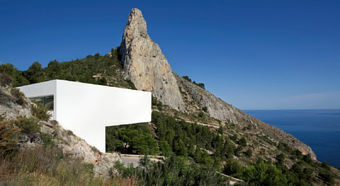 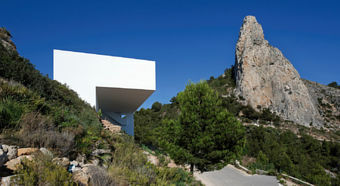 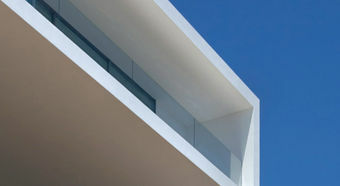 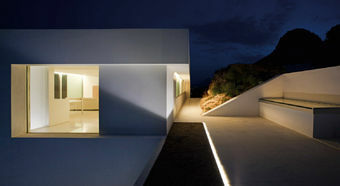 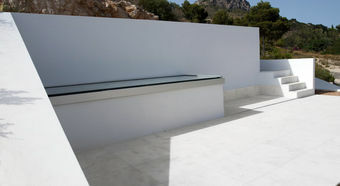 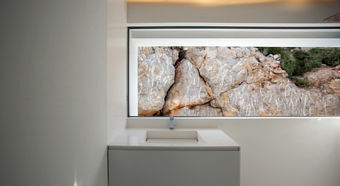 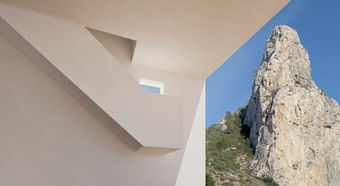 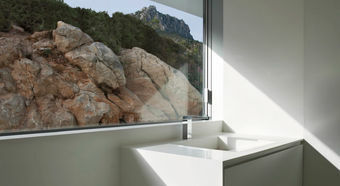 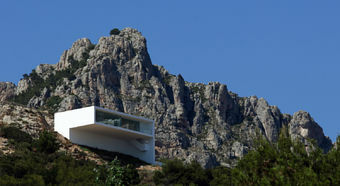 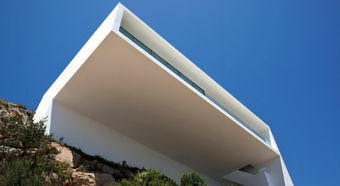 Yet the impressive structure from the Spanish architectural firm Fran Silvestre Arquintectos has succeeded in becoming one with the rugged surroundings of the Alicante. 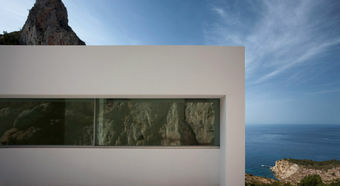 The monolithic structure seems to almost nestle into the rocks, yet still manages to surprise visitors with sweeping views of a coastal panorama through the large front windows. 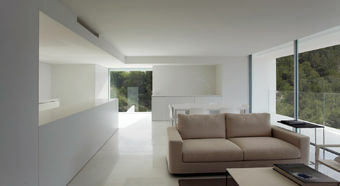 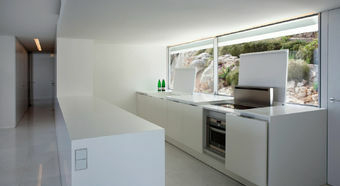 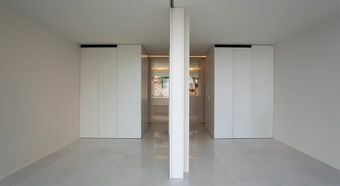 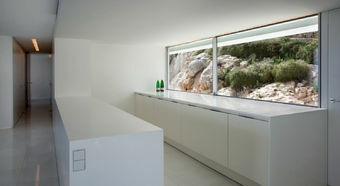 The living and wellness areas of the home stretch over two levels. 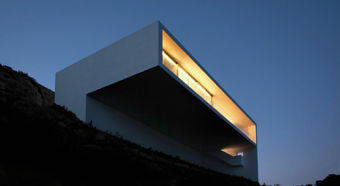 The upper storey accommodates the living areas, including the kitchen, living room, bedrooms and baths, while the terrace and outdoor swimming pool can be found on the lower storey. 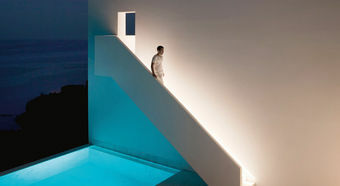 Both levels are connected via steps. 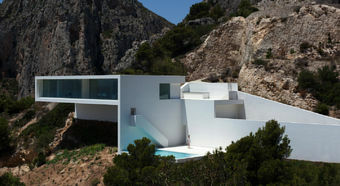 The House on the Cliff was constructed with reinforced concrete elements in order to overcome the extremely steeps slopes of its location. 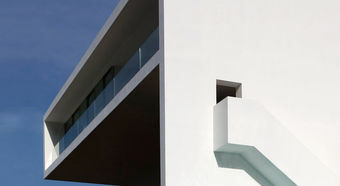 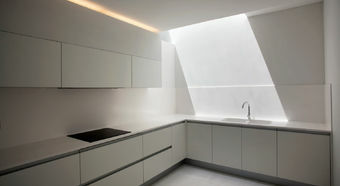 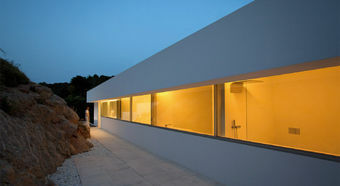 The building’s uniform appearance stems from the white lime applied to the concrete used for the main structure. 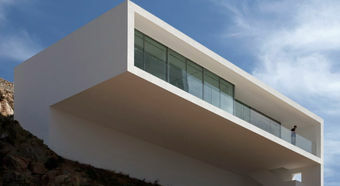 The building also won the red dot design award in 2013 after convincing the jury with its imposing architecture.